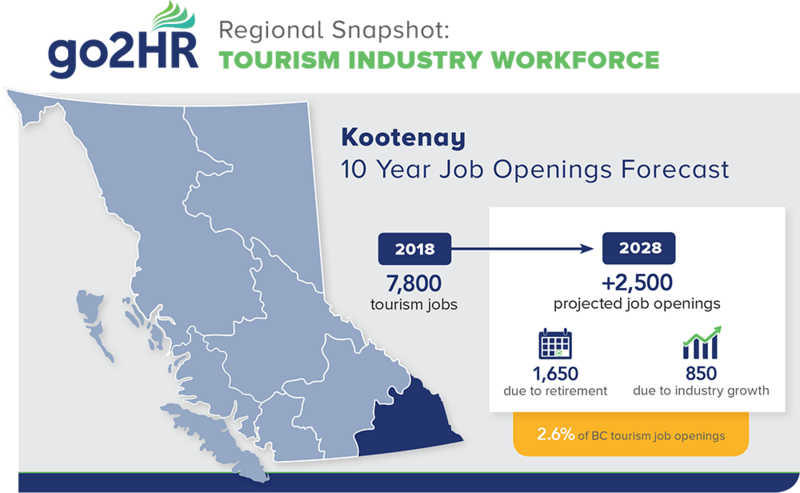 Compared to many areas of the province, the Kootenay region will have a higher percentage of jobs opening up due to retirements, and the region is also affected by seasonality and retention challenges, particularly in resort communities. By 2028, it is anticipated that the region will have 2,500 job openings. The food & beverage, accommodation, and recreation & entertainment sectors will be the hardest hit.